16 pp. Roman, 333 pp. The second volume Tigre Studies in the 21st Century – Tigre-Studien im 21. Jahrhundert. Akten der III. Enno-Littmann-Konferenz, 1.–4. 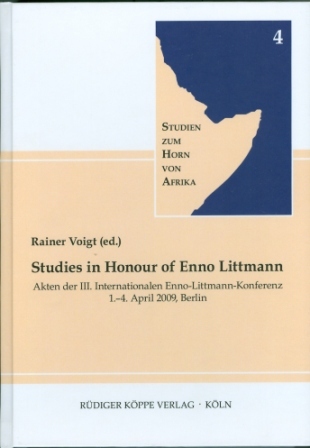 April 2009, Berlin has published as volume 2 of this series.